A road rage incident captured on camera shows frightening encounter. 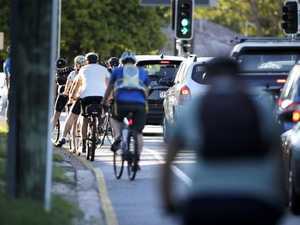 News CYCLISTS are forced to endure road rage from motorists on a regular basis. But fortunately, the driver isn't normally wielding a knife!